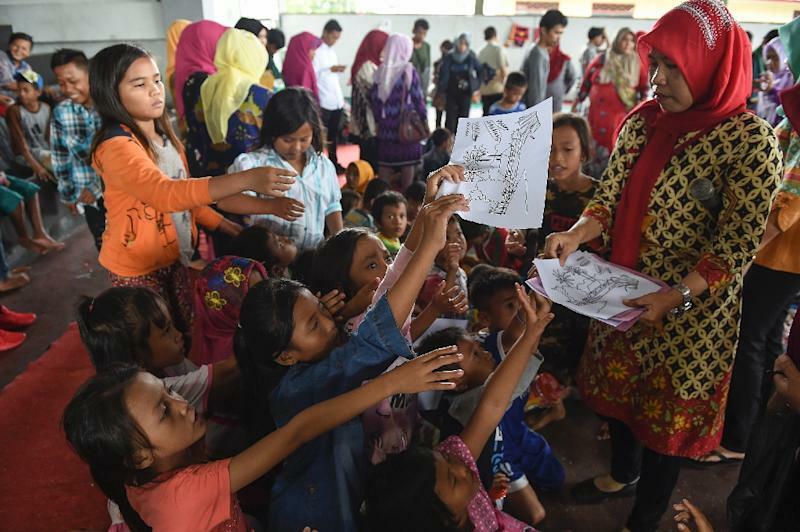 Jakarta (AFP) - The number of people evacuated after Indonesia's deadly tsunami has nearly doubled to some 40,000 while more than 7,000 were injured in the disaster, officials said Friday, as they trimmed the official death toll. Authorities said 426 people had been killed -- down from a previous tally of 430 -- with double-counting by different districts blamed for the change. Two dozen people remain missing almost a week after the disaster. Previously, the number of displaced -- including many left homeless -- stood at 22,0000 but that figure has now jumped to just over 40,000, according to the latest tally. A no-go zone around rumbling Anak Krakatoa has been widened to five kilometres (three miles) -- up from a previous two kilometres -- with residents warned to stay away from the coast.